Certificate marriagee – it is a document that the couple get to the registry office at the time of the marriage. In fact, this is the first family document of the pair. What to do if a certificate after a certain time is lost how to restore it to duplicate? First, remember where you put the document in the last time. Look in places where he can lie down. If the marriage certificate is indeed lost, you can restore it. The procedure for issuing duplicate certificate of marriage performed in a registry office. You need to prepare a passport with a stamp about registration of marriage. Contact the worker who is engaged in issuance of documents. He will give you the application form, fill it in the prescribed form. In the document specify the passport data and your spouse, the date of registration of your marriage, the cause of the loss of the marriage certificate, put his signature and the date in the lower left corner. Application-request on issuance of the marriage certificate is filled in with the name of the head(th) registry office, as indicated in the upper right corner of the form. In the registry office, take receipt of payment of state duty. It can be paid at any branch of the Bank is not charged a Commission. The fee is two hundred rubles per person. Paying a fee, take the receipt and go back to the Registrar. Take the completed application form, payment receipt and passport, and your spouse. Documents give to the Registrar and wait a few minutes. Usually, the procedure of issuing the copy of marriage certificate takes no more than thirty minutes. Wait in the corridor. After the allotted time will call you and will give a copy of the marriage certificate marked "duplicate". You must also put your signature in a special register of issue of documents and their duplicates next to his name. Remember that the duplicate is issued only to those persons that had been previously established corresponding record. In addition, for obtaining a copy of the certificate of marriage may apply only one of the spouses. The presence of a second not necessarily important that you know the passport data of the husband or wife. In order to recover the marriage certificate should contact the office of the Registrar, in the office where Your marriage was registered. It must give a certificate or order or the record, I don't know what to call it...With that help You go to the office of vital records where You have by yourself or with the help of competent workers to find the record of registration of Your marriage in a large stationery book. Lost the marriage certificate! Recognizing this fact, do not rush to panic. To restore the certificate of registration or dissolution of marriage is not so difficult! This is the first official document of a pair, five for the conclusion and dissolution of marriage. If you have realized that you can't find evidence, first remember where I saw it last time. If that doesn't work, restore a marriage certificate in the registry office. How often we are faced with a situation where we urgently need the document just refuses to be, and we understand that this paper is lost, damaged, and cannot be used. The certificate of registration of marriage is not an exception. What to do if the document is lost or damaged? According to article 9 of the Federal law "On acts of civil status" citizens have the right to re-certificate of registration of marriage, the so-called duplicate. To obtain a copy of the certificate entitled the person against whom was made the act of civil status. Also get a copy of the document can a Trustee in the presence of a notarized power of attorney to commit this action. In order to obtain a duplicate of your certificate of marriage is enough to contact the registry office where the marriage was registered. There you will be asked to make a statement about re-issuing of the certificate on registration of marriage and pay the appropriate stamp duty. Then, in a day, you'll be able to re-witness in return lost. The difficulty in this procedure arises usually in cases where you are geographically at a considerable distance from the registry office where they registered their marriage. In this case, the application for restoration of certificate of marriage will be required to send mail. The statement must include the full name of the spouses, date and place of registration. In addition, the statement will require the current address and the address of the nearest to the place of residence of the registry office. It to your nearest registry office and will be sent a copy of the certificate on registration of marriage, where you can obtain it by presenting an identity card. On your residential address you will be sent a notification about the fact of sending copies of the document. Please note that to obtain a copy of the document can only under the current civil status, that is, if the marriage was terminated to obtain a duplicate certificate is impossible. In this case, you can offer to prepare a certificate-a statement confirming the marriage registration at the relevant period. Some families disintegrate. After some time, divorced men and women can again to want to enter into marriage with other partners. But for this, according to the current legislation, they should submit to the Registrar a certificate of dissolution of the previous marriage. If the document is lost or has remained with the former spouse, who for some reason does not want you to return, restore this certificate. Any lost document can be recovered by spending some time and paying the fee. But do careful searching first, check all the places where you store documents, maybe you just moved somewhere that testimony. Or try in good agreement with the former spouse, make sure you restore the document, and this stubbornness puts him in a very negative light. If not to find evidence, nor agree with the former half failed, you must contact the civil registry office at the place of residence or the place of registration of marriage with a written statement about the results of a copy (duplicate) of the certificate. 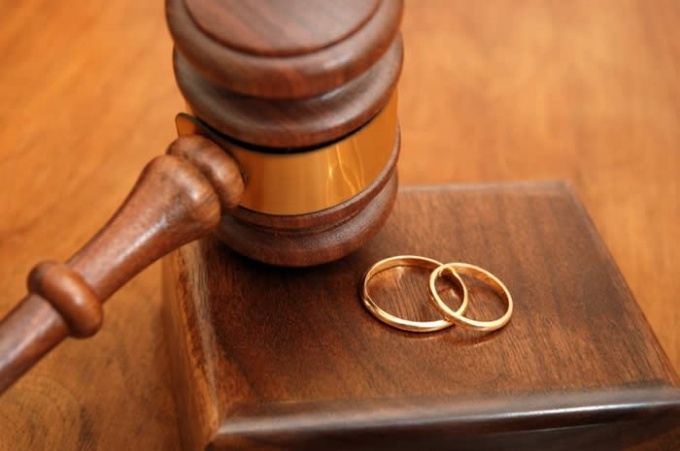 The statement include: the names, surnames, patronymic of each spouse at the time of divorce, as well as where and when the divorce was registered. Within the time provided by law, the registry office must give you a copy of this document. Often this situation arises: one of the former spouses died. His relatives or heirs should obtain a duplicate of the certificate of divorce to address issues related to inheritance. How to be in this case? 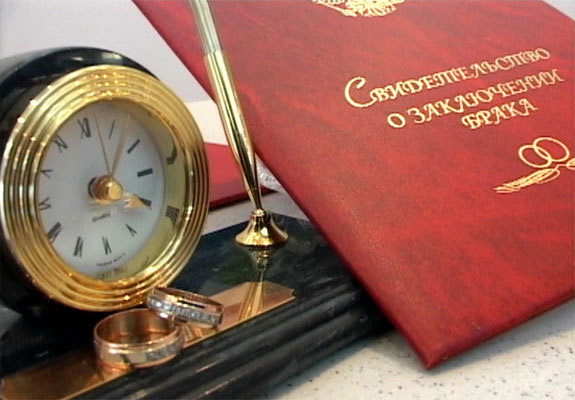 The list of persons entitled to obtain a duplicate copy of the certificate of dissolution of marriage, defined by the Federal law №143-FZ "About acts of civil status" dated 15.11.1997 g.
If you status is in the list, you should contact the Registrar's office with a written statement, to which you must attach copies of documents confirming your relationship to the deceased. If you for some reason difficult to do so, you can charge the obtaining of the duplicate certificate to any adult able-bodied citizen (e.g. your lawyer), but in this case he shall, in addition to the above copies of documents to have your notarized power of attorney.